I and my CTF team Hackatsuki recently participated to the ESAIP CTF 2019 which lasted over 10 hours. The challenges weren't really diversified but the pwn was pretty nice. We reached the 4th place in the scoreboard ! This CTF used the Facebook CTF platform, fbctf which UI is pretty awesome but has some bugs. 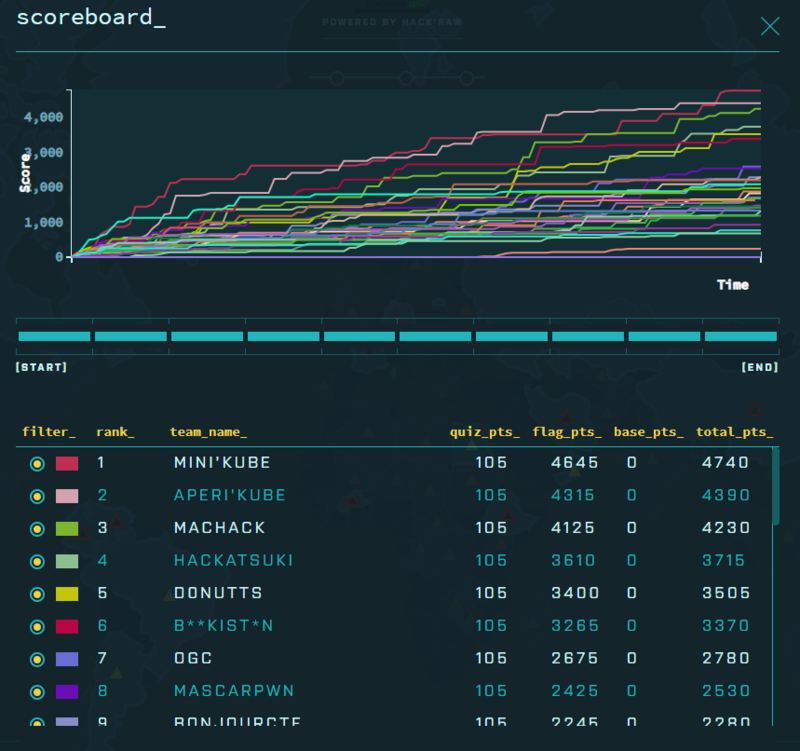 Each challenge was bound to a country, for example Belarus, Chile, Russia, America, Canda was pwn challenges. Canada was the only challenge I could not solve but Mini'Kube dit it insanely and Russie was the last one in pwn series with 455 points. The binary include only the main function which is pretty short, only write, setvbuf and read are called and so will be in the PLT. 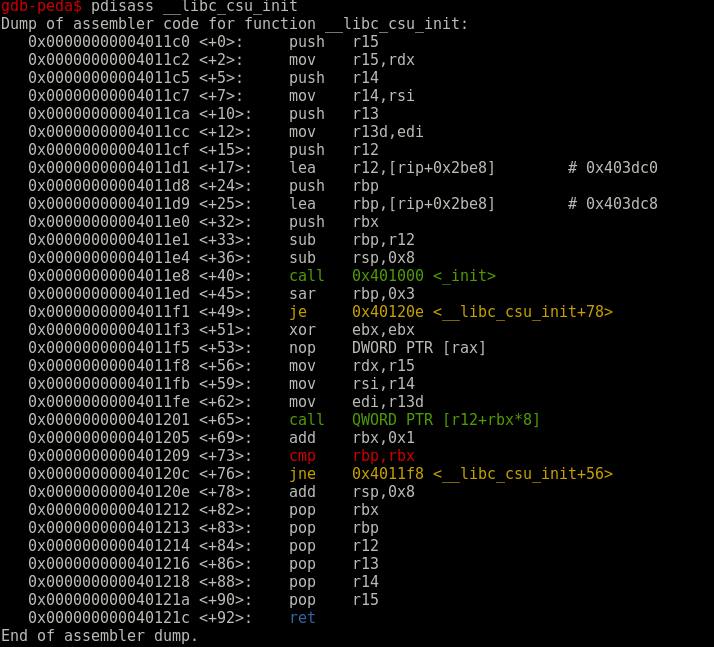 About the mitigations the NX bit, ASLR and RELRO are enabled. The vulnerability resides in the read function which will read 0x15E (350) bytes from stdin and write it in the ~100 bytes buffer. It's like we have to do some ROP now ! Sadly the binary is compiled for dynamic linking, the amount of gadget will be very restricted. But hopefully there are gadgets always presents in binary in the __libc_csu_init function. The __libc_csu_init is defined as attached code because no matter what you wrote, the binary will always hold this function. In order to make functions call via our ROP we need to control at least RDI, RSI, RDX because the only availables functions, write and read have 3 parameters. As you see theses gadgets let us call whatever we want and as many time as we want because right after the call, if rbx == rbp, we will pop again our arguments and ret the gadget we want ! and then call [bss] via the ret2csu.